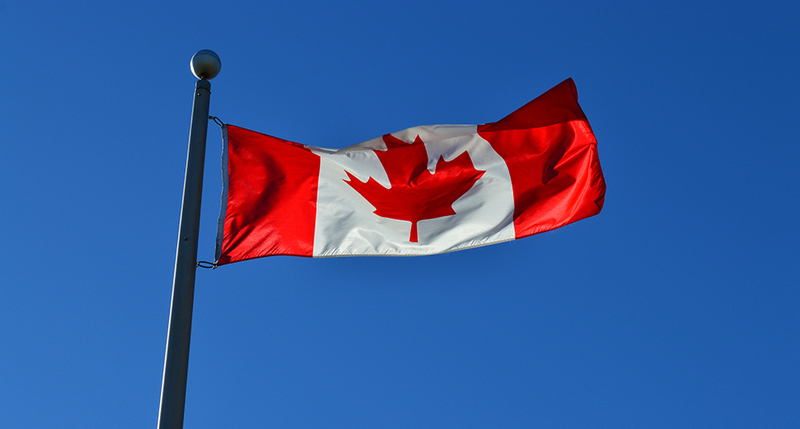 Statistics Canada recently released new 2016 census data, and the great news was bilingualism (English/French) in Canada was statistically at a record high. Would it surprise you, that this figure was at 18 per cent nationally? While Quebec is our most bilingual province at 44.9 per cent, in Ontario, only 11.2 per cent of the population can converse in both English and French. So if you’ve struggled to find qualified bilingual candidates for your team, know that you’re not alone. This is definitely a niche talent pool! 1. Become networked among this talent pool: this process takes a lot of time and commitment but it is well worth it. Attend bilingual job fairs within the industry, connect with this talent group online via social media, etc. Now, if you are hiring for one-off positions here and there that require bilingual talent, this task may be too cumbersome, in which case, specialists like us can jump in to help. Because finding bilingual talent is at the core of what we do, our team dedicates a tremendous amount of time connecting with bilingual candidates proactively, and then maintaining ongoing relationships with them. Here’s one such example: We had a client recently who was planning on moving their offices to a city that was about a 1-hour drive from Toronto. They were expanding their business and needed to find a bilingual person to handle their national accounts. They felt like this task was as hard as finding a needle in a haystack since they were moving out of an urban centre, so they called us for support. Our team happened to know of a bilingual person who fit the job qualifications for our client’s vacant position, who also happened to live in the city to where our client was moving. At the time, she wasn’t actively job searching yet, so our client likely wouldn’t have found her, had it not been for the ongoing relationship we maintained with her. She turned out to be the perfect new hire for our clients. 2. Set the salary for bilingual skills: First, we always guide our clients to consider a salary range in the context of a bilingual requirements. English/French bilingualism is a valued skill and in Ontario, it is in higher demand than ever before. Therefore, salaries for bilingual jobs on average call for approximately $2,000 to $5,000 more than what would be needed for unilingual positions. 3. 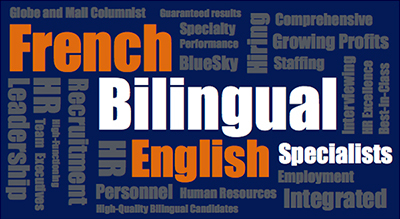 Consider this – is the position you are hiring for truly a bilingual position? We often find if a worker is not able to use their French skills on-the-job on a regular basis, they move on to other opportunities. This is because fully bilingual workers in Ontario know their skills are in high demand within the marketplace, and they want to work in positions where they are utilizing their French skills fully. It’s a way for them to keep their language skills polished too. If you’re hiring for a position that only requires conversational French only occasionally, it may be worth it to hire someone with just a working knowledge of French where they can “get by” and learn on-the-job. If you need to fill a bilingual position within your organization, call us today at: 416-236-3303, or email us at: info@blueskypersonnel.com. We look forward to speaking with you!